Too much Mike Conley. Too much Marc Gasol. Too much ... Shelvin Mack? A strong first half gave way to a barrage of fouls and missed shots as the Jazz fell to the Memphis Grizzlies 110-100 Friday night in Salt Lake City. And yes, they were done in (partially, at least) by a familiar face. Mack came off the bench to score 19 points on 7-for-11 shooting (including 4-for-6 from 3-point range), while Conley scored a game-high 28 points. Gasol stuffed the stat sheet with 17 points, 10 rebounds, seven assists, four steals and a block. Utah (4-4) led 60-50 until Conley banked in a 30-footer at the halftime buzzer, and from that point on it was all Memphis. 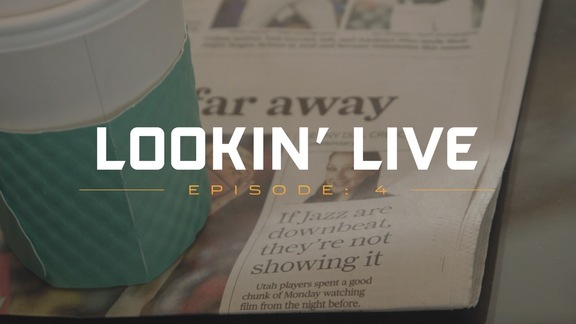 The Grizzlies (5-2) outscored the Jazz 57-40 in the second half. 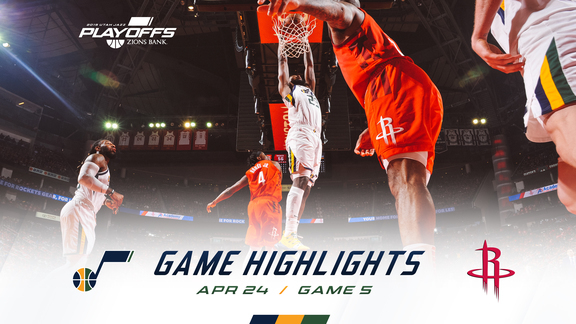 "We played a good team that was connected offensively, and they put us in situations where we need to talk more and communicate more to defend collectively," Jazz head coach Quin Snyder said after the game. Ricky Rubio (22 points, 11 assists) led the Jazz with his third double-double of the season, while Rudy Gobert (nine points, 16 rebounds) failed to notch a double-double for the first time this season. Joe Ingles added 19 points in the loss. With Donovan Mitchell (hamstring) and Alec Burks (wrist) out, rookie Grayson Allen made his first career start. Allen finished with nine points, one assist and four fouls in 27 minutes. Playing without their leading scorer, the Jazz needed someone to step up—and that someone was Rubio. The Spanish point guard hit four of his first five shots from the field, including a 3-pointer, and finished with a robust line of 22 points, two rebounds, 11 assists and a steal in 32 minutes. Rubio also finished with a team-high net rating of +11. 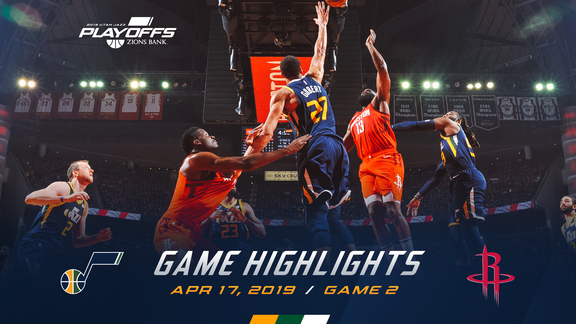 The Jazz opened the game with back-to-back threes (by Rubio and Derrick Favors) and then another bucket by Rubio gave Utah an 8-2 lead and forced a Memphis timeout less than three minutes into the game. After a three by Memphis' Garrett Temple, Allen threw down a dunk off an alley-oop from Rubio, and then Rubio put in a scooping layup to put Utah up 12-5. Utah fell behind 39-35 after Memphis scored six straight points, but the Jazz bounced back with a quick 9-0 run. Georges Niang canned a three, Rubio hit a fadeaway jumper, and Danté Exum sprinted past Gasol for a layup. After a Memphis timeout, Rubio found Gobert for a dunk to give the Jazz a 44-39 lead midway through the second quarter. Utah would lead by as many as 12 before taking a 60-53 lead at halftime. Memphis, though, outscored Utah 30-18 in the third quarter to take a five-point lead into the final period—which began with a 3-pointer by Ingles. The Grizzlies answered with back-to-back threes (by MarShon Brooks and Gasol) to take a 91-81 lead with 9:20 left in the game. From that point on, even though Utah kept it close, the Grizzlies never led by fewer than seven points. Midway through the first quarter, Ingles hit nothing but net on his 500th career 3-pointer. The Australian sharpshooter shot 3-for-8 from beyond the arc and is now averaging 2.8 threes per game (on 40.0 percent shooting) so far this season. Tonight's game was a choppy foul fest as the Jazz (25 fouls) and Grizzlies (29 fouls) combined to commit a whopping 54 fouls. Though neither team was able to take advantage from the free-throw line—Utah shot 14-for-25 (56.0 percent) and Memphis shot 21-for-34 (61.8 percent)—the constant whistles had a huge effect on the game. Specifically, Rubio was called for a (highly questionable) fourth foul in the first minute of the second half, sending him to the bench for nearly the entire third quarter as the Grizzlies went on a run to take the lead. Two days after allowing Minnesota point guard Derrick Rose to score 50 points, the Jazz gave up 47 points to Memphis' duo of Conley (28) and Mack (19). During those two games, opposing points guards have shot 33-for-50 from the field. "We can talk about he offense but, to me, our group has to stake its claim on the deffensive end. That's something we can control." Jae Crowder scored 18 points off the bench in the loss. He shot shot 4-for-7 from 3-point range and added six rebounds in 32 minutes. ... The Jazz shot 51.2 percent in the first half and 41.2 percent in the second half. ... Utah outscored Memphis 17-7 on second-chance points and 13-2 in transition. ... Jaren Jackson Jr. (13 points) and Temple (12 points) also scored in double figures for the Grizzlies. ... Memphis shot 13-for-26 (50.0 percent) from 3-point range. The Jazz will travel to face the Nuggets on Saturday night. Tipoff is set for 7:00pm MT.